Louisiana Republican Party chair Roger Villere believes Louisiana citizens are already living the “new American dream,” that President Trump described in his SOTU speech Tuesday night. In Washington this week for the annual winter meeting of the Republican National Committee where President Trump and Vice President Mike Pence also are speaking, Villere praised Trump’s remarks. “I believe that SOTU speeches matter and Trump’s will help his poll numbers significantly,” Villere said yesterday. Indeed, the latest Monmouth poll shows that President Trump’s approval ratings have taken an upward swing after all-time lows in December. 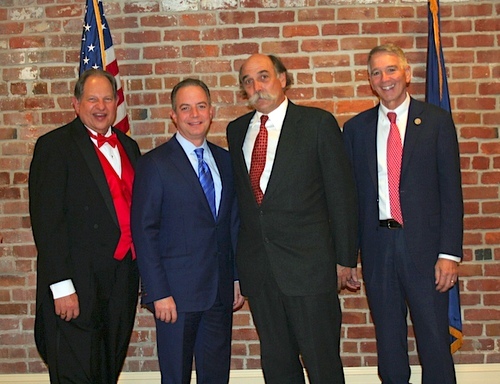 The longest serving state GOP chair in the U.S., Villere was recently honored by numerous state and national GOP officials including former White House Chief of Staff Reince Priebus at the Elephant Stomp, LAGOP’s premiere fundraiser. Among those in attendance were Congressman Ralph Abraham, Lt. Governor Billy Nungesser, Secretary of State Tom Schedler, Jefferson Parish President Mike Yenni, JP Sheriff Joseph Lopinto, State Senate President John Alario, JP Clerk of Court Jon Gegenheimer, JP Councilmember Dominic Impastato, Phil Capitano, Fenn French, Mark Madary, Jimmy Delery, Glade Bilby, Joe Rochelle, Van Robin, Kerr Vidrine, and Louis Gurvich who is running to replace Villere as Louisiana GOP chair. Several state Republican party chairs from other states also came to honor Villere. U.S. Senator Bill Cassidy and Congressman Steve Scalise delivered remarks via video. Scalise was also honored at the banquet for his heroism. Born in Gentilly and raised in New Orleans East, Villere is a descendent of Jacques Phillippe Villere, who defeated William C.C. Claiborne to become Louisiana’s second Governor after U.S. statehood and the first Louisiana native to hold that office. Etienne Roy de Villere, Jacques Villere’s grandfather, was one of the founders of New Orleans, having accompanied Iberville on the voyage from France. The British landed on the Villere family sugar plantation, Conseil, in St Bernard Parish just before the war of 1812 began. The family helped defend the region during the Battle of New Orleans. Roger Villere attributes his interest in Republican-style politics to his days at Rummel High School where he learned about the free enterprise system. 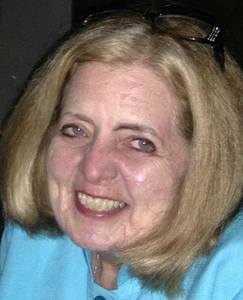 “I always thought of myself as a Republican,” said Villere. Later as the owner of Villere’s Florist, he lobbied state legislators to create better laws to serve that industry, and became active in Jefferson Parish civic affairs. Billy Nungesser, Sr., founder of Louisiana’s Republican Party and father of the state’s current Lt. Governor, initially tapped Villere to build Republican support on the east bank of Jefferson Parish. Villere quickly worked his way up through the party structure and in 2004 won the race for state party chair. He was re-elected six times without opposition. Villere will step down in March, 2018 after 14 years of service. Villere considers the rapid growth of the Republican Party in Louisiana as his major accomplishment. “The Republican Party has changed the face of politics in Louisiana,” Villere exclaimed. “When I got started, the party was young in Louisiana with just a few elected officials and only one state-wide official, Secretary of State Fox McKeithen. Today there is only one Democrat elected statewide – Governor John Bel Edwards. Republicans are also the majority of our Congressional delegation, Supreme Court, BESE board and Public Service Commission. We also control both houses of the Louisiana Legislature,” Villere continued. Based on current growth patterns and the popularity of President Trump in Louisiana, Villere believes that the Republican Party will grow to more than 1 million members within the next “year of so.” “Within 3 to 5 years, we should be the majority party in Louisiana,” he proclaimed. Villere said that building the party took a lot of diplomacy to get the various factions together who were used to having their own way. “I worked really hard to make everyone part of the process,” he said. Villere also credits the republican women’s clubs for supplying energy and enthusiasm in the races. “Our Republican women are incredible workers.” Villere is also interested in bringing younger people into the party. Dr. Bernice King, CEO of the King Center and daughter of Dr. Martin Luther King, will be in New Orleans tomorrow to kick off Project Live & Achieve, a year-long initiative aimed at decreasing violence through education. King will address a group of 5,000 students and community members at a 10 a.m. “Rally For Excellence” at Xavier University of Louisiana’s Convocation Center. Dr. King will also be feted at a private luncheon hosted by Congressman Cedric Richmond, Mayor Mitch Landrieu, Mayor-Elect LaToya Cantrell, State Senator Troy Carter, Councilmember-elect Helena Moreno, School Board member Leslie Ellison, Judge Regina Bartholomew Woods, Judge Nakisha Irwin Knott, and others. Project Live & Achieve was conceived by visionary Jamar McNneely, CEO of Inspire Nola Charter Schools. Just a year ago, two males were killed out of Edna Karr High School in Algiers, an Inspire Nola facility. The Project life & Achieve overall program will include monthly conflict resolution workshops and seminars, motivational rallies, weekend and summer open guy opportunities, exposure to the criminal justice system, academic rallies and acknowledgement, student-led panels and discussions, major community service initiatives, and monthly mentoring opportunities. Students from public, private and parochial schools, as well as parents and members of the faith based community have been invited to attend Friday’s free session which will also include remarks from Congressman Richmond, Mayor Landrieu, Mayor-Elect Cantrell, nationally syndicated radio personality Angela Yee and St. Augustine High School alumni Leonard Fournette, NFL running back with the Jacksonville Jaguars. “We welcome the entire community to join us for this year-long opportunity to promote non-violence and encourage higher academic outcomes,” said McKneely.